So what rationale could the Syrian government possibly have for resorting to chemical weapons? That's true that the use of chemical weapons galvanizes the west against Assad, but, I think the best way to put it is like this. "They're going to hate me anyway, I may as well go all out". There's a body of people in the west who don't want war no matter what. They don't want to be in Syria. They aren't going to change their minds based on some rarely shown news clips. There's another body of people who are anti Assad anyway. Hating him more won't change much. The actual shift that happens when chemical weapons are used isn't all that much. Granted, it's affected Trump and lead him to drop some bombs on an airport (after giving the Russians a head up) and it lead Trump to make a threatening tweet, but for the voting american public the use of chemical weapons doesn't move the dial that much. It moves it some, but it's hardly a "Casus Belli". It maybe could become that. So far it isn't. That's false. Gas is heavier than air. It sinks into bunkers. People who are underground run outside to escape the gas. 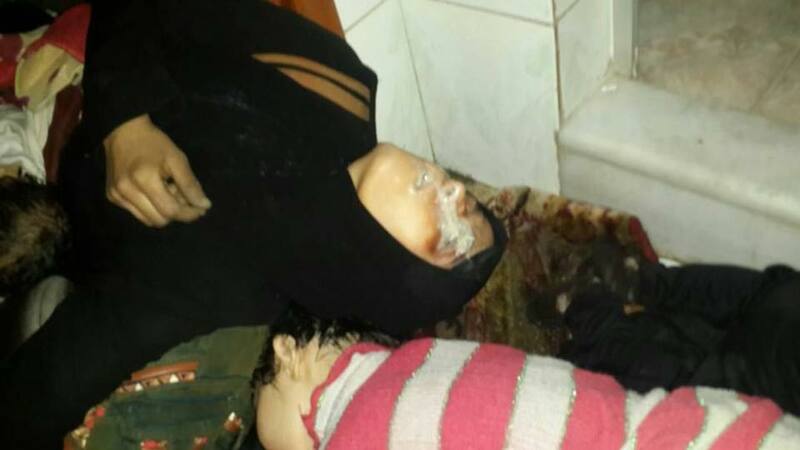 Chemical weapons gas is also very painful and it hits a lot of women and children. It has an effectiveness that regular weapons simply do not have. It's also very good at breaking the spirit of the resistance. I don't know. He certainly is wining. I don't know if it's a clear cut case of "only a matter of time before he wins". Resistances can last for decades. One could also make the argument that Assad is impatient or perhaps make the argument that he's cruel, or that he's a tactician who understands the devotion of his enemy. To get into specifics would require a lot more knowledge of how determined and entrenched his opposition is. 1) to break their spirit, 2) to punish, 3) to hit people in bunkers. 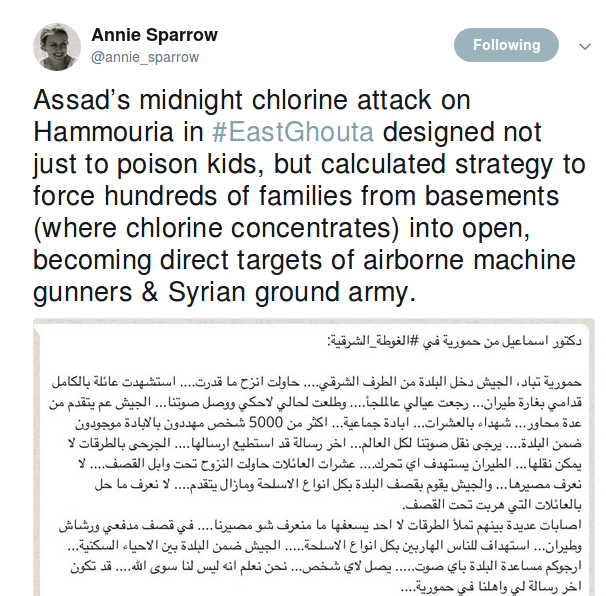 Whether you believe Assad is behind the numerous chemical attacks or not, there are clear benefits to him using them (there are risks too, but to say there's no benefit is flat out false). The US has recently accused the Syrian government (yet again) of using chemical weapons in the civil war. This is because Assad's government has used them in the past, as supported by overwhelming credible evidence, and is doing so again. Assad's government is doing so in hope of inciting fear and terror in a civilian population that is being targeted by the attacks in hope of breaking their will in areas where the rebels have been stubbornly resistant. They have held out for seven years just a stone's throw from his capitol stronghold in Damascus despite the government's intense efforts with conventional weapons to retake this area. Chemical weapons arouse this fear and terror more effectively than conventional firearms and can affect large areas more easily than firearms from which it is possible to take cover. They also don't damage the infrastructure as much as conventional weapons making them more desirable if someone wants to retake the territory later. Assad is not worried about significant Western intervention because he believes that the West will not risk World War III with its ally Russia over its conduct of a civil war in which the West has only modest material interests, particularly given Donald Trump's history of a cozy relationship with Russia. There are also numerous video accounts, and reports by the New York Times. The attribution of the attacks are supported not just by U.S. intelligence agencies, but also, for example, by detailed reports from French intelligence agencies (a country with longstanding ties to Syria including a League of Nations mandate for Syria from 1920-1941). The notion that these are false flag attacks brought by Syrian rebels against their own people is absurd. Real world rebel groups don't launch vicious tortuous attacks on their own people killing scores of innocent people many of whom are women and children. The Daily Mail in England after being duped into running a report suggesting that later retracted its story because it learned that the story was not true. Newsweek notes that these conspiracy theories, which this question tries to bolster, are being raised primarily by very unreliable sources such as the Syrian government accused of using chemical weapons, far right Fox News commentator Tucker Carlson (whose track record for accuracy is poor) and white supremacist leader Richard Spenser via the neo-Nazi outlet The Daily Stormer. In addition to other answers, an argument could be made for the Russian interest in the events. The idea that Al Assad would launch such an attack without Russian at least tacit approval seems rather unplausible. It had to be clear that the attack would be noticed and that there would cause a strong international condemnation; Al Assad would not have risked it unless it was secure that it would not affect his relationship with Russia. Timing would support this, as it happens shortly after Putin has been reelected in Russia. That means that there is no longer the risk1 of Putin's internal position becoming weakened and making him unable/unwilling to support Al Assad through this. Lack of diplomacy has lead to way less public international support for the USA. This is less of an issue in a situation so clear cut as this one, but may affect others. Electoral promises of isolationism and the recent calls for a withdrawal from Syria could make it difficult for Trump to assume the cost of losing USA servicemen in a retaliation against Assad2. What does Putin stand to win with this? Aside from reinforcing his client's position, he gets prestige and influence. It sends the world the message that countries in Russia's sphere of influence can be mostly free from the risk of USA and Western intervention3. 1 Small, but still a risk. 2 Remember the backlash that was for Bill Clinton the losses of the Battle of Mogadishu, and he was not running in an isolationist platform. 3 Of course, within limits. Do something that the USA cannot let pass and that would be cause of war (i.e. invade an strategic ally) and probably Putin will let you down to avoid a direct war. But for anything other it would give a pretty good coverage. Alleged use of chemicals in Douma, last town held by jihadists in Eastern Ghouta, supposedly happened when that territory almost fell to SAA. Only thing left was agreement between SAA, Russia and jihadists about evacuation of all combatants and their families to Idlib (famous green buses used before this in Homs and Aleppo ). Allowing so called "rebels" to leave certain territory in order to avoid civilian casualties and further destruction became a norm in Syrian civil war, at least on SAA and Russian side. Therefore, it would be completely illogical to use chemical weapons while negotiating evacuation that ended today, leaving Ghouta in Russian and SAA hands. What does make sense is using White Helmets, supposedly independent but in fact group with proven links with jihadists, to film some shoddy films about rescuing people in chemical contaminated zone without equipment and without repercussions. When we connect this with well known facts that West armed "rebels" with links with Al Qaeda, and that West wants to be judge, jury and executioner without even trying to prove what happened if anything happened at all, it becomes clear who created this whole mess and who constantly pushes whole world towards WW3 and nuclear Armageddon . Why? To brutally kill his enemies and intimidate everyone, especially those considering supporting his removal. I'm not sure that the claim that conventional weapons are just as brutally effective is true, otherwise chemical and nerve agents would not be generally considered "Weapons of Mass Destruction." It is the aggressive and muscular presence of Russia actively supporting Assad that allows him to use them as a shield against western retaliation, versus much earlier when they had a more passive approach and Assad turned over his then-current stockpiles to the west after Obama's "red line" saber rattling. The whole question hinges on the assumption that “Regular weapons are just as effective at assaulting the opposition“. It's not necessarily accurate, both in terms of raw destructive power and of the effect on the morale of enemy fighters and civilian population in opposition-controlled areas. Note that Syria's supply and access to “regular“ weapons is not without constraints. The alternative is not between chemical weapons on the one hand and unlimited numbers of guided munitions, missiles and powerful bunker busters on the other hand. For example, the Syrian regime also used barrel bombs, which are crude and cruel but also cheap and not that effective. Plus the political costs of using chemical weapons do not appear that high. Al-Assad is already a pariah and therefore essentially immune to the usual array of sanctions. He has very little to lose unless the US were ready to launch a large scale attack and risk facing Russia militarily. 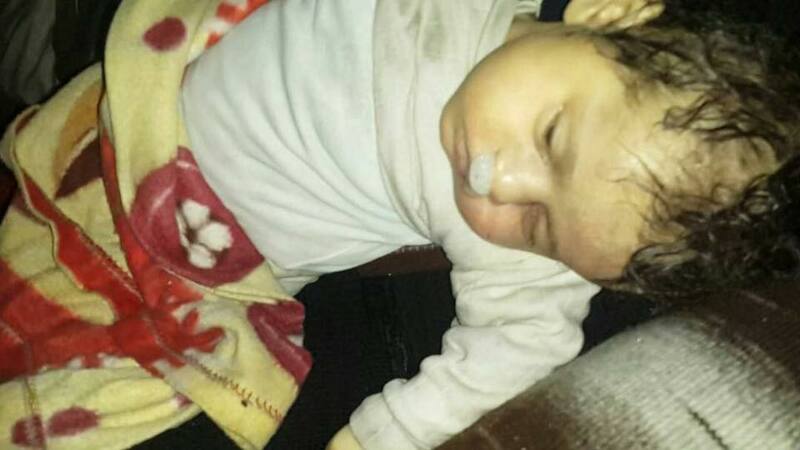 The response to the last publicized use of chemical weapons has shown that it's not the case. Pretty much all the reasons: Terrorizing the people, Showing I don't care about anyone, keeping "analysts" busy in determining which medium of killing is "favourable", saving buildings so he can use them later (as we saw earlier how Assad army was looting the Eastern Ghouta once the civilians fled to Idlib), etc. have been answered above. Another point, which I can feel sitting in Pakistan clearly is reigniting the Anti-US sentiments in public (everyone hates US here and they know how to use these sentiments to their own advantage) and portraying Assad and Putin as Anti-US heroes who are being portrayed as "Bad boys" by western media. Exactly the same thing happened in his earlier Chemical Attacks when US decided to bomb it and here, in our part of the world, easiest way to make someone a hero is to give a slightest of hint of one being Anti-US. Same Pakistan where noone talks about Syria in mainstream media, now #Syria is top trend on twitter - only for the wrong reasons as people continue to be bombed by Assad in the background. Because the long-term calculation is to appear to look, well, mean. He is an ophthalmologist by training. He simply doesn't make the cut of a strong-arm dictator. From the day he came to power, it was clear, to those who watched Syria closely, that he would invite rebellions. I am not saying that anyone should feel sorry for him. But he was forced into a situation for which he was not prepared. He had no way of forcing social reforms to soften the position of the old guard. He had to swim in the waters created by his father. His father was very brutal and had a reputation for it. This created a social structure in Syria in which brutality was overemphasized. Assad wasn't honed for power. His brother was. But his brother died in a car crash. So he was essentially handed power without either him or the country being prepared for it. The whole situation invited a few waves of rebellions. Eventually, he realized that he couldn't hold it together and plead with Russia for protection. Syria is essentially a Russian colony now. But in order discourage future rebellions, Assad needs to do a few "crazy" stunts to create a reputation which doesn't match his demeanor or personality. The level of callousness for human life that he is attempting to display is there to counterbalance his actual personality. You can bet that he is now on antidepressants to be able to handle everything he has had to do. Again, I am not pitying him. I recognize that not being critical of him can be distasteful to many. I share the disgust. But, in order to answer the question, it's important to outline the causes, and their effects, which precipitated the current situation. Chemical weapons are much more effective than conventional weapons if your intention is to cause terror in the opposition. As Russia has his back he has little to fear in the form of outside interference. Not the answer you're looking for? Browse other questions tagged military syria or ask your own question. 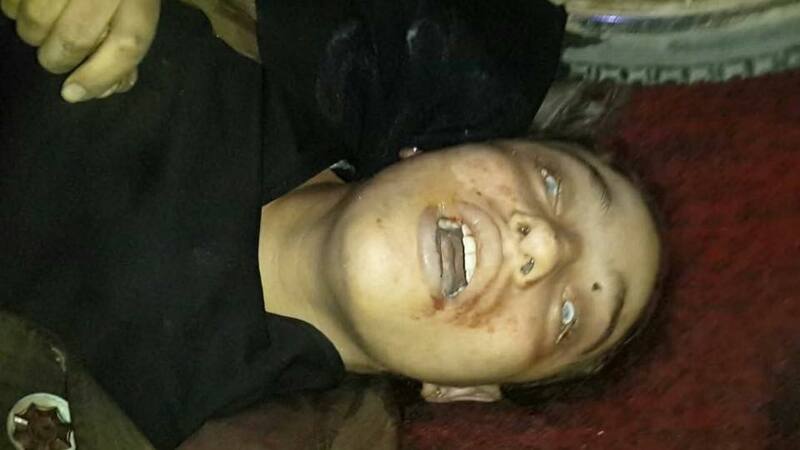 What does the Assad regime gain from the use of “chemical weapons” on Syrian civilians? What incentive could Assad have to use chemical weapons? What's the Russian interest in the Syrian civil war? Why does Russia support the Assad regime? Has the Pentagon provided evidence for their accusations against Assad's potential preparations for another chemical weapons attack?